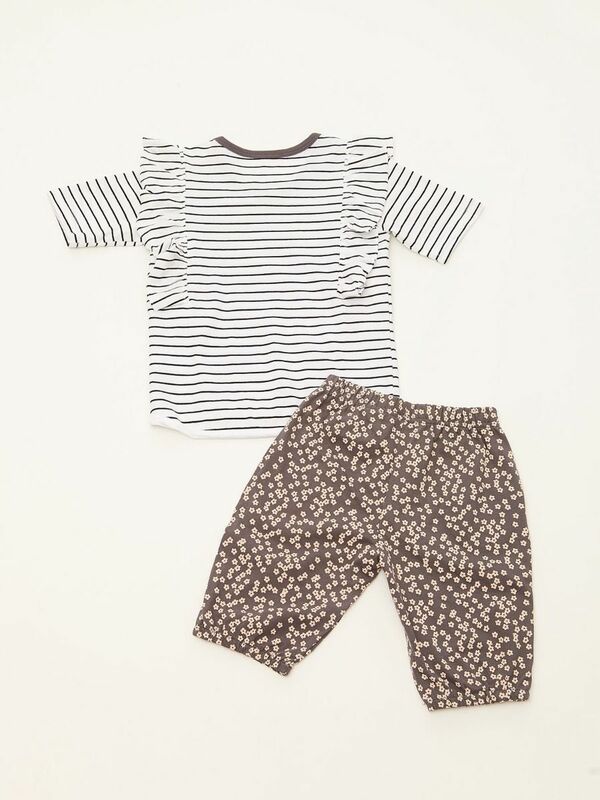 Navy stripes ruffled top and light pink flower print pants. Round neck with one snap button on the shoulder. Long sleeves with ruffles on the side. Long flower print elasticated pants.